For the past couple months we've been borrowing the original DVDs of the show "Northern Exposure" from our library. 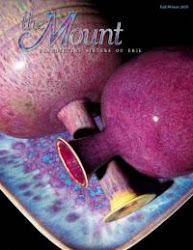 That wonderful quirky series about Cecily, Alaska and its quirky cast of characters and delightful and quirky stories. What creativity! How did those writers think of those plots?! We are enjoying them immensely. I do love quirky things and I've just found a new one to add to the list. 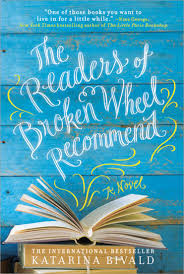 Out of the blue, an unanticipated gift from a friend, comes an equally quirky book, The Readers of Broken Wheel Recommend by first time novelist, Katarina Bivald. Here we meet Sara, a bookstore employee from Sweden, who is arriving in a small (pop. 637), fading town in Iowa to meet her pen pal, Amy---only to find that Amy has just died. Sara stays on and, drawing on her love of books (and Amy's personal library), opens a bookstore in Broken Wheel. And everything changes! The characters are great, the writing is good and the story, in my opinion, is creative, fun and delightful....with just enough quirkiness to keep me hooked.